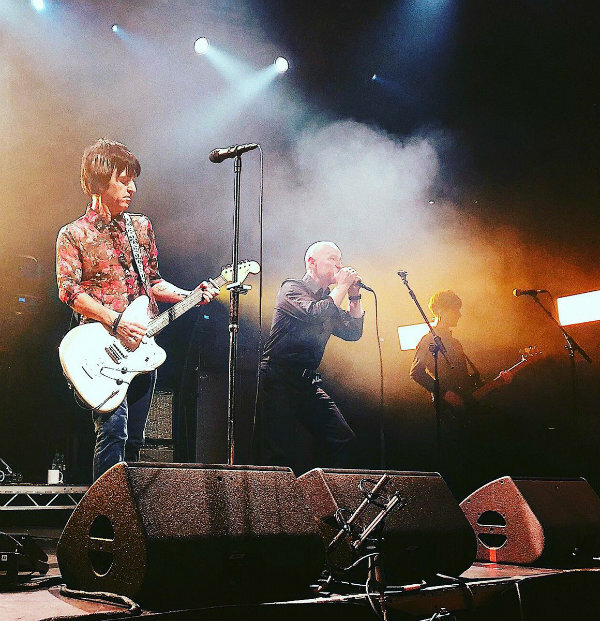 Fans were thrilled to see Johnny Marr rejoin the The The fold for the band’s comeback single last year, but the ex-Smiths guitarist did not join Matt Johnson’s touring band for its first concert dates in 16 years this summer — presumably as he had his own album to promote. Well, their paths finally converged onstage tonight at London’s Roundhouse, as Johnson joined his lifelong friend and onetime The The bandmate to perform a cover of the Lovin’ Spoonful’s classic 1966 single “Summer in the City.” It was their first time onstage together in 25 years. Marr currently is on tour in Europe supporting his third solo album, Call the Comet. Below, check out fan-shot video of “Summer in the City” via themaltman.